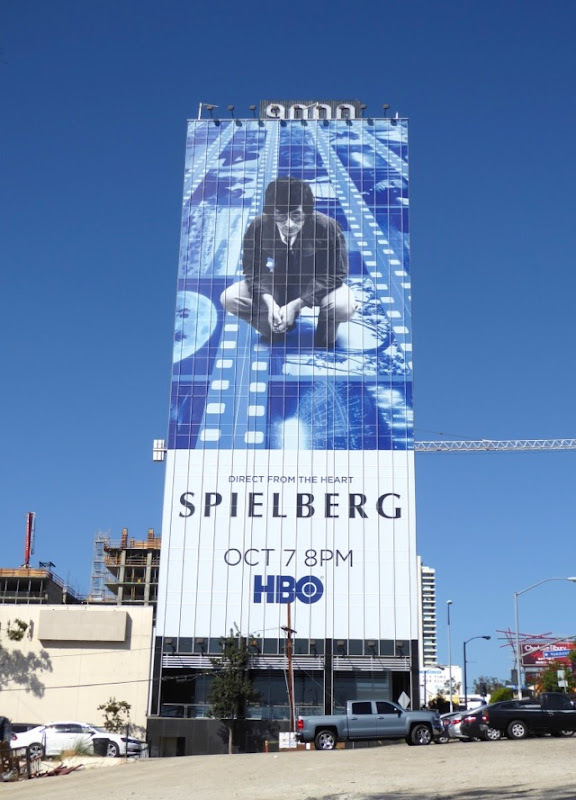 E.T., Jaws, Close Encounters of the Third Kind, Indiana Jones, Jurassic Park, Schindler's List, Saving Private Ryan, Minority Report, The Color Purple, is there any need to go on? 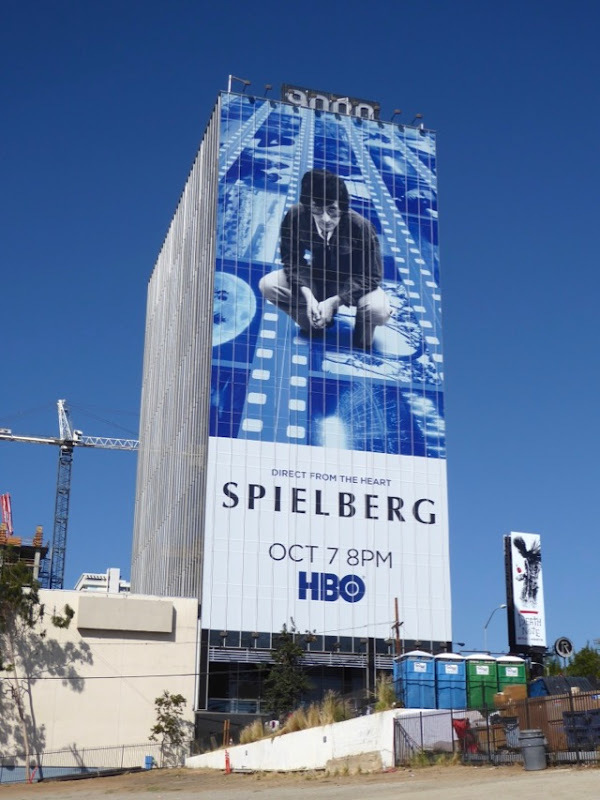 As you can see from this list of iconic movies, Steven Spielberg has a phenomenal filmography, quite possibly the best in the business, so it's no wonder that someone has made a documentary about his life and career. 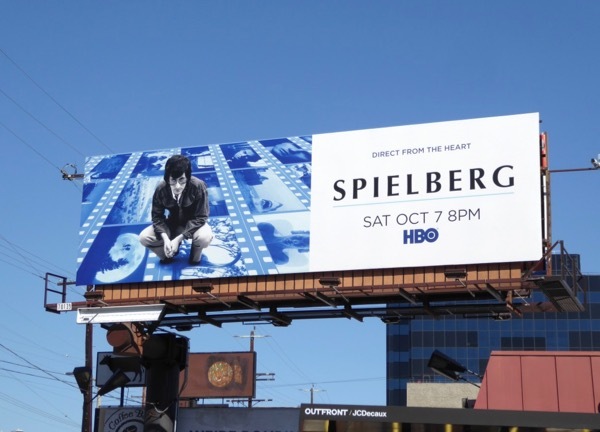 Documentarian Susan Lacy weaves together almost two and half hours of interviews with the man himself, his friends, family, colleagues, collaborators and critics for HBO's Spielberg. 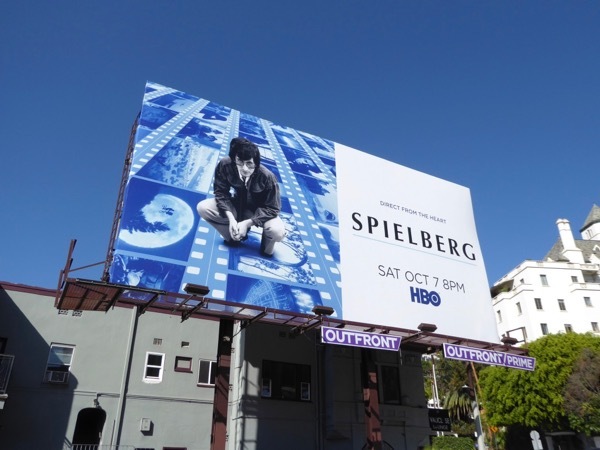 These Spielberg documentary billboards were snapped along the Sunset Strip and La Cienega Boulevard from September 22 to September 28, 2017. 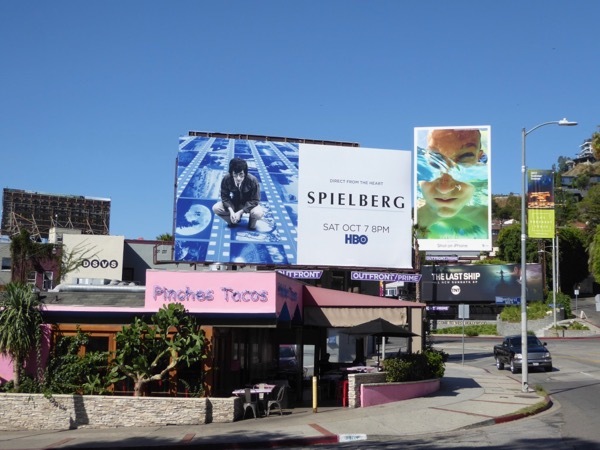 Fans of the director can also enjoy some of his more recent work, including these Lincoln movie billboards, these War Horse movie billboards, these Bridge of Spies movie billboards and these movie billboards for The Adventures of Tintin. 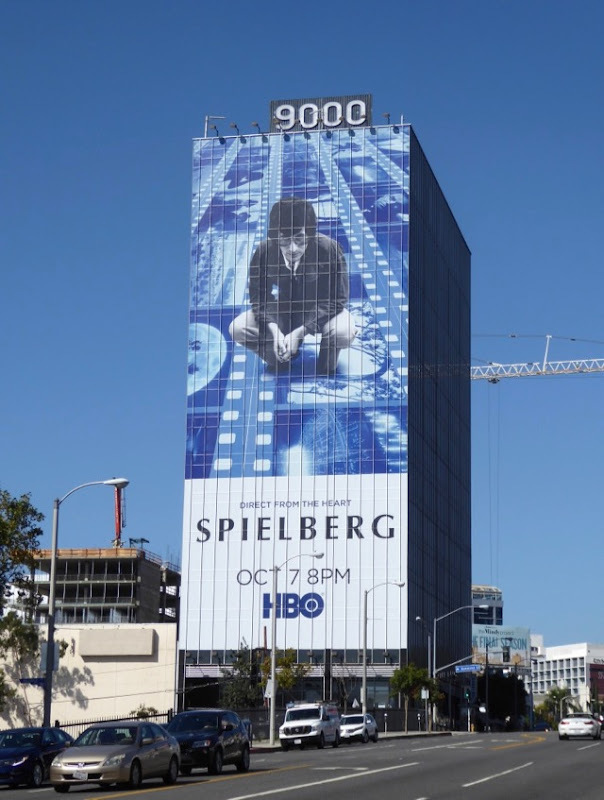 There's no doubt that this three-time Oscar-winner is one of the most influential filmmakers in history, and by all accounts he isn't ready to quit making moves anytime soon, so maybe this documentary is just part one of his legacy. 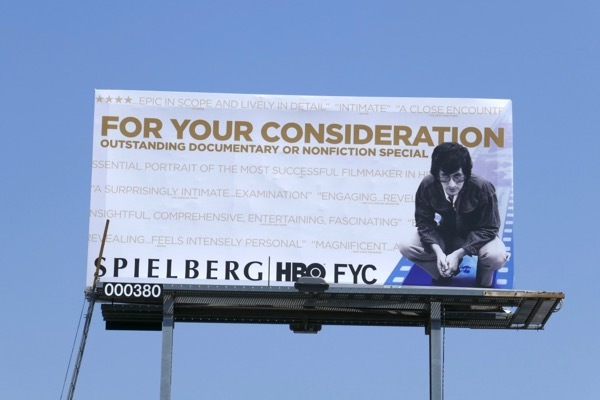 UPDATED: Here's also an Emmy consideration billboard for the HBO documentary snapped along Fairfax Avenue on June 7, 2018. 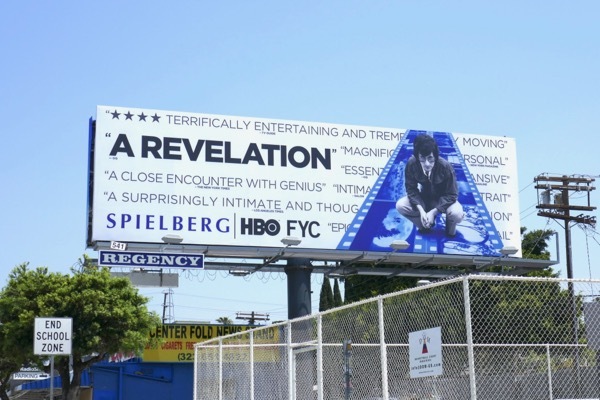 UPDATED: Congratulations to Spielberg for receiving the nomination for Outstanding Documentary, hopefully this Emmy nominee billboard spotted above Fairfax Avenue on August 12, 2018, will help garner TV Academy votes.